For over 10 years, I've been making my couples' weddings unforgettable with pictures they love. Wedding days are incedibly beautiful in so many visual and emotional ways, they are a joy to photograph. A lot of couples prefer natural wedding photography and that’s why they choose eyecapture. You will also see the terms documentary wedding photography, reportage wedding photography and journalistic photography and yes, there are differences but essentially, they all mean natural – split second captures of those emotional and fun moments. Rebecca Morley: Eyecapture photographed my Wedding Day. I was exceptionally happy with the service they provided and the images were beautiful and really captured the whole day from all angles. I would definitely recommend them. Jonathan Morley: Recommended you to friends – no problem! we love our photos and you did a great job! I had a look at your blog for Thorner, it looks great, we do miss the village! Nice that our picture is on it as well. From the bride’s mother, Susan Gott: Catherine is very efficient and hard working. The photographs of our daughter’s wedding are lovely and we would certainly recommend Catherine to others. Our youngest daughter chose her for her wedding at the Woodlands Hotel in Leeds, and once we saw her photographs, she also became the natural choice for her sister. 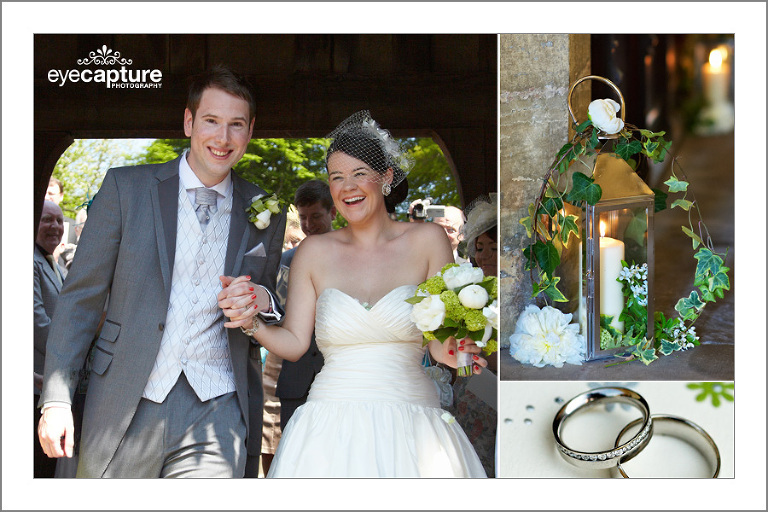 Louise & Ben Firth: From the moment we met Catherine, we knew we wanted her to do our wedding photography. Catherine is personable, interested in you as a couple and your background story and wants to understand what YOU want from the photos on your Big Day. Our wedding photos are just amazing. We feel they have truly captured our day and we love them. 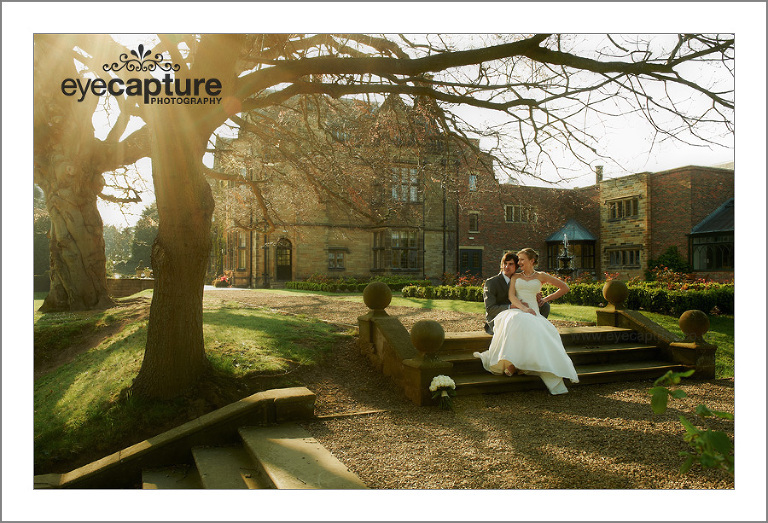 Eyecapture have really exceeded our expectations and provided us with simply amazing wedding photography. And we are very grateful! From the moment my husband and I first saw Eyecapture’s website, we knew we wanted our wedding to be photographed by them. The photography style was exactly what we were looking for – natural and relaxed shots with lots of fun and laughter captured. We met Catherine to discuss our wedding day about a year in advance, and were made to feel very welcome. We were shown beautiful photographs and were told all of the relevant information we needed to make an informed decision as to whether we wanted Eyecapture to cover our wedding or not. We had continued contact and support throughout the run-up to our wedding day, with all details carefully planned and discussed. We had Eyecapture with us throughout the Wedding Day, from the preparations right through until the evening party. My husband and I never felt uncomfortable being photographed, and Catherine seemed to melt into the surroundings, taking beautiful pictures without any interruption to the proceedings. We received our final pictures in good time, and we were (and still are) over the moon with our photographs. They are an ever-lasting reminder of the love, joy, laughter and happiness of our day. Mark & Sam East, North Leeds, West Yorkshire – Devonshire Arms civil ceremony and wedding reception. 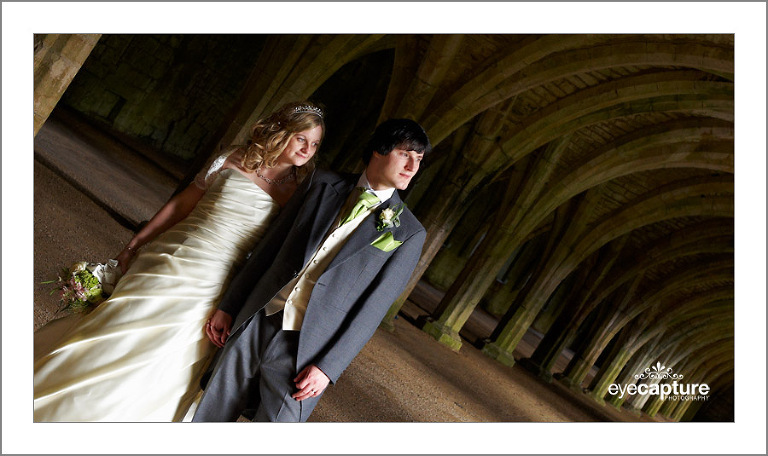 We were very pleased with the commitment displayed by Eyecapture wedding photographers for our wedding photographs. Another professional Leeds photographer recommended her to us. Catherine was extremely personable and alleviated all concerns we had about being photographed. On the day itself, we cannot fault the enthusiasm and professionalism in the service provided and the resulting album and photographs are beyond even our wildest expectations. We have no qualms about recommending Eyecapture to anyone. Eyecapture in Leeds provided our wedding photography. Catherine was very personable and her customer service was brilliant. She listened to what we wanted and made sure that she took the pictures we wanted in the manner that we had asked her to. The photographs that she took of our wedding were beautiful, she captured some lovely moments and I couldn’t be happier with the photographs that she produced. I am so pleased that we chose her to be our wedding photographer and would have no hesitation in recommending her. From our first meeting with Catherine we felt that she would make us feel comfortable and at ease on the day. Catherine took the time to get to know us, what we wanted and where we were getting married to make sure she got the best results, which we certainly feel she did. I would highly recommend eyecapture. ‘Fantastic’ pretty much sums it up! We had a great wedding day made even better by amazing wedding pictures. My husband and I both clicked with Catherine the first day we met her and felt very confident she was going to do a great job. Catherine seemed able to read my body language and mind to produce fantastic pictures with every shot! We certainly wont regret the pictures in 10, 20, 50 years down the line. After 18 months of being married, my wife and I pulled out our wedding photo album and spent half an hour reliving all the lovely memories of the day. The whole day was amazing and we are so delighted that we have such wonderful photos, taken by Catherine, to help remember it. She was so professional and gentle, at the pre-shoot and on the day that she put Rachel, and I, at ease immediately and seemed to sense exactly what we wanted. Nothing was too much trouble, she stayed until after the first dance and her unique ideas were so clever. Thank you so much Catherine, we’ll be forever grateful to you. David Bielby (Proud husband to Rachel). I approached Catherine Kerr to take my Wedding Photos back in September 2008. As my budget was limited she agreed a package deal with me. She captured the shots I had requested and many more besides. The end result was an amazing selection of pictures of my special day. Catherine was prompt in getting back to me with any queries I had & kept me updated on the progress of the final order & Thank You cards. I would recommend her to any future ‘ Brides to be ‘ !! Fantastic! The album is so much better than I’d imagined. The photographs bring back such lovely memories of our wedding day. Thanks so much from both of us. Catherine was great from day one when we first met. She made us feel at ease about having our photographs taken and made our wedding day even more enjoyable. She captured all our memories for us to enjoy for the rest of our lives. I would recommend her services to anyone. Hi. I just wanted to say a HUGE thank you for yesterday – you were brilliant! Look forward to seeing the photos and I hope you enjoyed your cake. Catherine from Eyecapture photographed my daughter’s wedding in August 2012. She did an amazing job putting us all at ease and not being in the least bit obtrusive. We were all so relaxed during the day, in fact Catherine was treated more like a guest. The photos are fantastic and it made the day perfect. Catherine was fantastic from start to finish – from our initial contact with her right through to receiving our album after the wedding. Also, very good value for money. We were very pleasantly surprised at how much we got for our money compared with other photographers. Would definitely recommend Leeds based Eyecapture to friends and family. We booked Eyecapture for our wedding and what a good decision it was – Catherine spent time with us before the event to make sure she knew what we wanted, at the pre-shoot she made us both feel at ease & relaxed and so when the big day came we were enjoying the day whilst Catherine was taking some superb photos. In fact they were so good we ended up getting both the pre-shoot & wedding photos on a DVD and the album was excellent. The service was professional from start to finish. We were all made to feel very relaxed and were hardly aware of the presence of the photographer which made the photos much more natural. Would definitely recommend to others. Jen Bowers, Shadwell, North Leeds Leeds wedding photographer Catherine of Eyecapture came to take photos of my partner and myself, in the late stages of my pregnancy- and the experience was wonderful. Catherine put us both at ease instantly, discussed what would look best for the surroundings (partners rugby pitch!) and the results were brilliant-beyond what I could have ever wished for. So much so, we are booking Eyecapture as our wedding photographer for our church service in Roundhay and our reception in Adel too.